Wingstop‘s agency 3Headed Monster hired Groove Jones to find a way to give their loyal customers a starring role in their latest commercial. 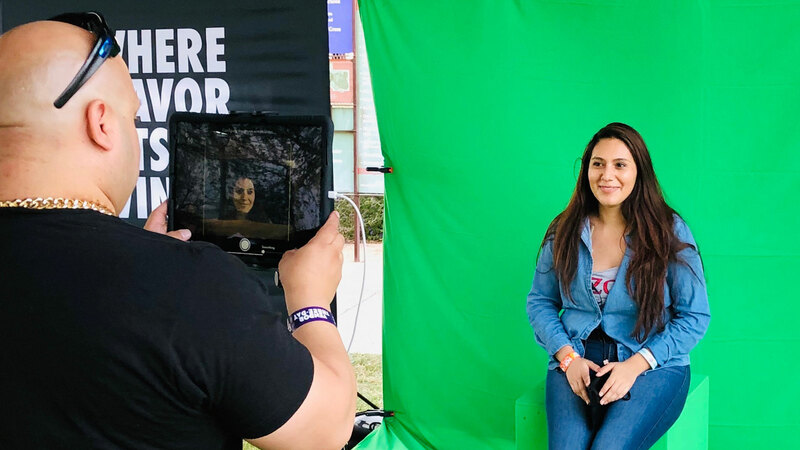 This included a custom video booth App that allowed fans to “VidBomb” their latest commercial as part of a social and fan engagement campaign. 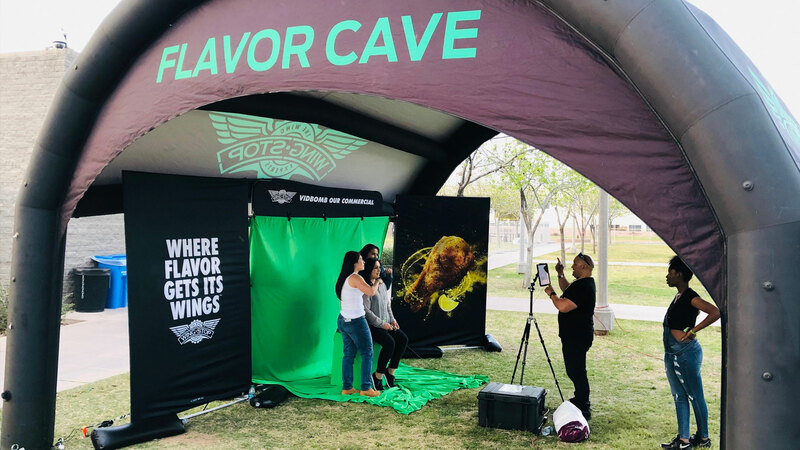 The brand is also kicking off the ‘”Flavor World” tour, heading across the U.S. giving out tens of thousands of freshly-made, free wings, with fun activities including a chance for guests to step into Wingstop’s flavor world by starring in their own virtual commercial or a chance to score free wings for a year. Below is the original “Where Flavor Gets its Wings” national :15 second commercial spot along with customized VidBomb versions featuring flavor fans captured at the onsite events. 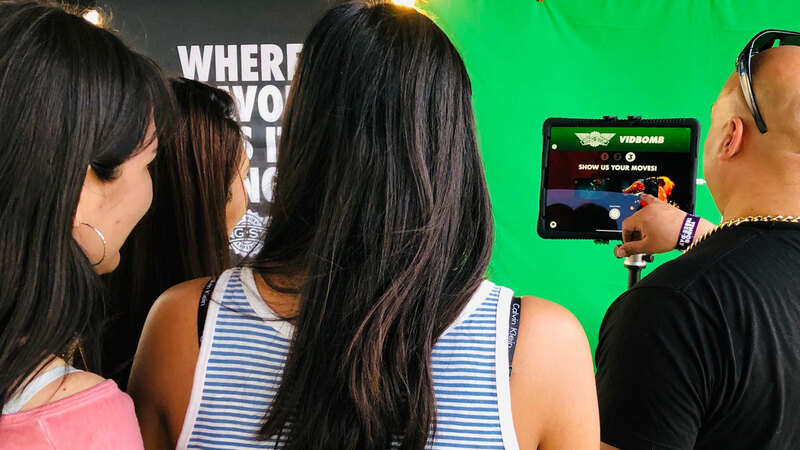 The challenge to insert users directly into the already finished commercial took our team building a video booth app for Wingstops brand team to use at their onsite events. The process began with our team of dreamers figuring out how to take out the actor from the actual commercial and the create custom embedded graphics specifically tailored to the user. 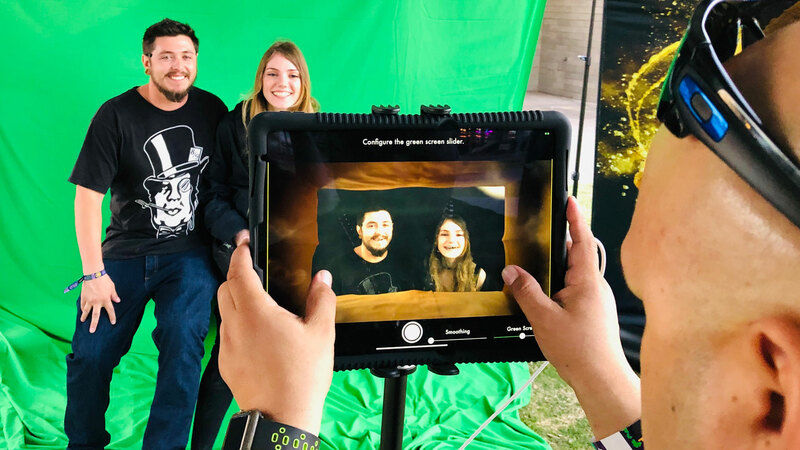 To make this possible, we created a custom photo app that used real-time green screen compositing. We also needed to track the movements of the user to make the commercial have a flawless finish. In the middle and at the end of the spot, a personalized Wingstop bag drops into the frame with the fans name on it. When the user steps into the “Flavor Cave” booth, they strike three poses with the help of some onsite directing. Then enters our real-time rendering, within seconds- a video is emailed to the user so they can share their fifteen seconds of fame with other wing lovers! We used machine learning and artificial intelligence in a special code to make this post-production solution possible. We also integrated a set of enhanced video tools to give the brand ambassador controls so they can adjust the compositing effects. 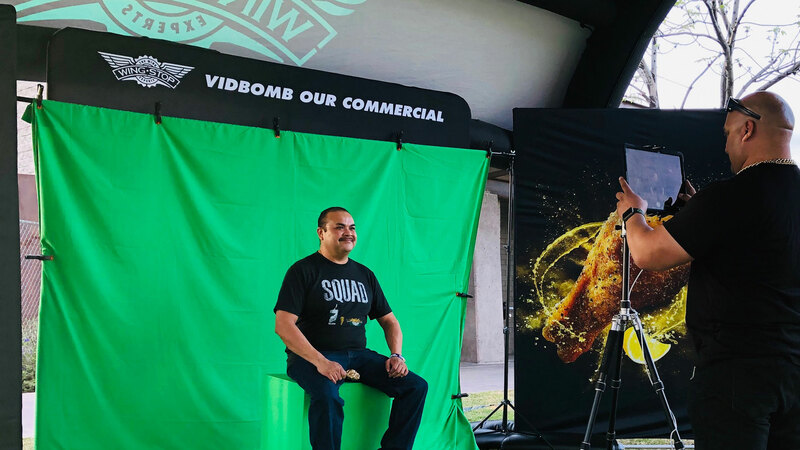 Once the VidBomb app was complete, it was time to deploy out to the opening event where Wingstop not only brought their wing truck, they were giving out FREE wings! We were lucky enough to be a part of the action while concertgoers waited in line for their wings. We set up shop next to the line so those waiting could picture themselves in all their wing glory that would soon come. The setup went like this… we would have them enter intoFlavor Cave photo booth as our studio. Once inside, brand ambassadors directed each participant through three scenarios: smelling fresh wings, biting into them and falling through a raining deliciousness of what else? WINGS! The end result is an almost instantaneous commercial completely customized for each participant. At the event, we sent interactive producer, Ethan Compton to the Pot of Gold Festival in Arizona. 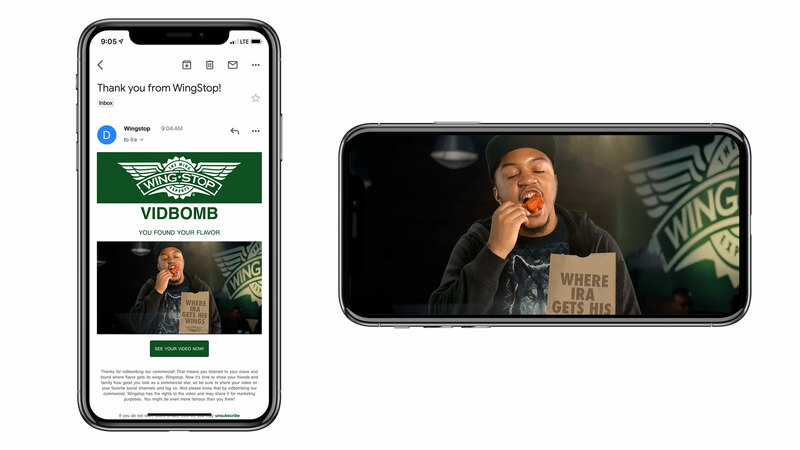 Wingstop, with more than 1,250 locations worldwide, is bringing to life its vision of giving people the freedom to explore flavor without boundaries by launching Where Flavor Gets Its Wings. 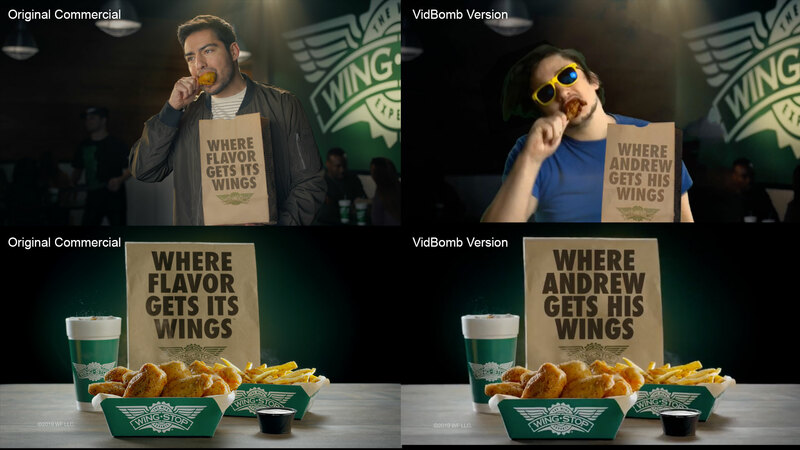 This new brand platform and the creative campaign is part of Wingstop’s largest national advertising effort, featuring spots that showcase flavor favorites. 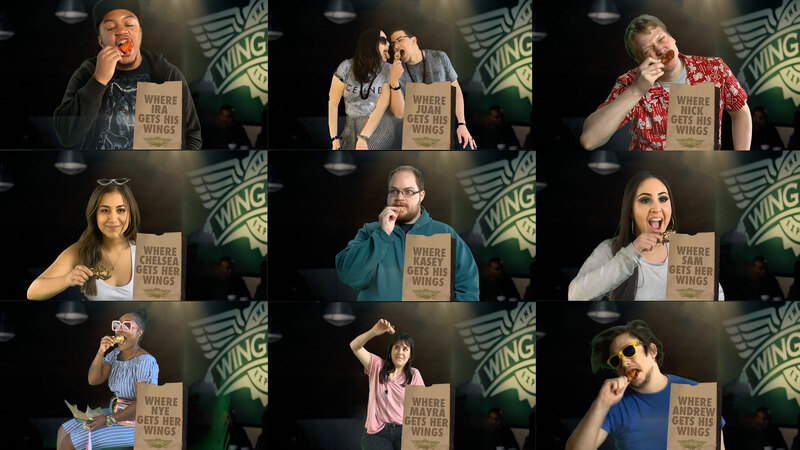 As Wingstop moves toward its vision of becoming a top 10 global restaurant brand, this campaign celebrates the core fans who have built the brand over the past 25 years while inviting new audiences into Wingstop’s flavor world. 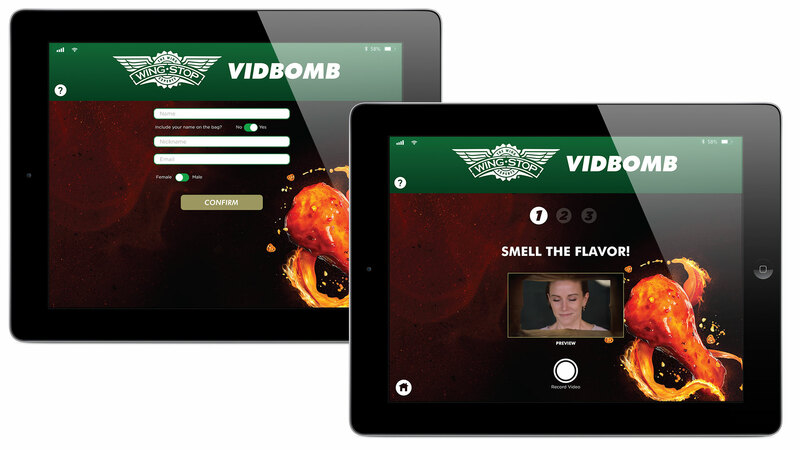 We’re embarking on an amazing journey to excite people so they can overcome the flavor indifference that keeps them stuck with bland and predictable fast food choices,” says Maurice Cooper, Wingstop chief marketing officer.